We are in that nice quiet time of the year before the madness of the holidays, so why not head out to a show while you still can. Check out our Pancake Picks below to help you choose the perfect night out. The London Souls @ Cameo Gallery – The London Souls are beginning to taste some of the larger audiences in and out of the country; having opened for Lenny Kravitz for some select dates in Europe this past year. They’ll be tearing it up with their bluesy rock jams and helping close out Cameo’s run with great bands in its last week before closing those dingy, sticky doors forever. Miss Velvet and the Blue Wolf @ Mercury Lounge – Singer Miss Velvet brings a very refreshing indie singer/songwriter kind of sound to the local scene. Her sensual musical natures mixes with various types of influences such as jazz or R&B which she blends together to find her own unique form of pop. Puscifer @ Terminal 5 – Maynard James Keenan, of TOOL is back with his side project that echoes the sound you’ve grown accustomed to the last twenty years. While this is NOT TOOL, it is a brilliant band that will rock your face off. Get there early if you’re a wrestling fan, trust us. Total Slacker @ Palisades – Of all the shoegazy and indie rock bands coming out of Brooklyn these days, Total Slacker is one that has always stood out from the others. Although they haven’t released any new material since 2013’s Slip Away, their style of garage rock with some psychedelic thrown in there always makes for a fun show. Diane Coffee @ Mercury Lounge – Foxygen drummer, Diane Coffee’s recent September release of Everybody’s A Good Dog highlights his songwriting with a modern spin on 50s/60s Motown. Should be pretty interesting to hear how his indie-pop catalog sounds in a live setting. 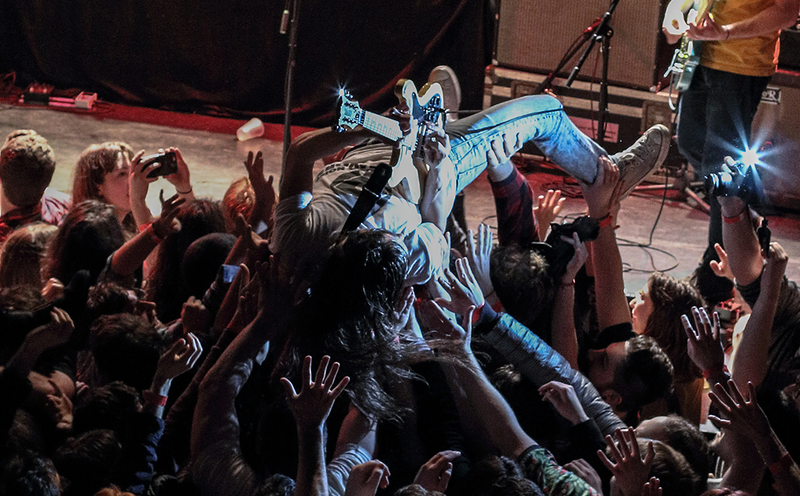 Diarrhea Planet @ Music Hall of Williamsburg – Has anyone ever had a bad time at a Diarrhea Planet show? The answer is no. The rock band knows how to throw an epic party every time they play New York so get ready to rage with one of rock’s hottest rising bands. 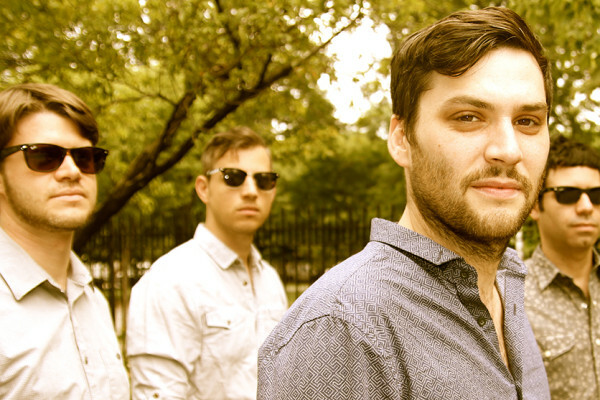 Knit Ball 2015 with Skaters, Cold Fronts & Honduras – The second night of the 2nd annual Knit Ball at the Knitting Factory is an impressive lineup of indie-rock. All three bands really bring it, so will make for a great mid-week show. You can win a pair of all-access passes to the entire Knit Ball here. ASTR/Ryn Weaver @ Warsaw – What should be a great show and a killer start to your weekend, electro-pop duo ASTR open for the ‘OctaHate’ indie-songstress Ryn Weaver for their second of two nights in New York City together. Both acts took a step forward with new albums and performing across the festival circuit in 2015. Chris Robinson Brotherhood @ Brooklyn Bowl – Chris Robinson, formerly of The Black Crowes still brings the passion and energy he has for over twenty years. If you need to categorize this band, they would fall into the “jam band” category, but touch upon soul, blues, and good old fashioned rock and roll to get you grooving and shaking. St Lucia (DJ Set) @ Cameo Gallery – It’s not a full band performance, but St. Lucia and his band just finished recording their sophomore album, due out in early 2016, and will be DJing on what looks to be Cameo Gallery’s last night of scheduled performances. Come out to one of Brooklyn’s favorite venues and dance the night away. Knit Ball 2015 with The Skins & Idgy Dean – The Skins have quickly become one of our favorite local bands over the last year with their tight rock and roll grooves, highlighted by outstanding vocals. Get there early for Idgy Dean who will have you transfixed with her psychedelic looping abilities. Win all-access passes to the entire Knit Ball at the Knitting Factory here. Young Rising Sons & The Mosers @ Brooklyn Bowl – Young Rising Sons are coming on strong with their recently released EP The Kids Will Be Fine, and now bring their high-intensity live show to Brooklyn for a Sunday treat. The Mosers, who we caught during CMJ, open the gig and bring a raw energy, not seen often for an opening band.